20th December 1915: Allies complete the evacuation of 83,000 troops from Suvla Bay and ANZAC Cove in Gallipoli. Not one soldier or sailor is killed in the withdrawal and the Turkish are unaware of the evacuation taking place. 18th December 1915: Sir Douglas Haig replaces Sir John French as Commander in Chief of the British Expeditionary Force. 17th November 1915: Hospital Ship ‘ANGLIA’ is mined off Dover in the English Channel with 14 officers and 374 other ranks sick and wounded on board. Nine officers and 244 men were saved by destroyers and patrol boats, but 5 officers and 128 men were lost, together with 1 sister and 9 men of the R.A.M.C. staff. 31st October 1915: Steel helmets were introduced for British troops – for well over a year since the start of fighting, soldiers of most nations went into battle wearing cloth caps that offered no protection from modern weapons. Meanwhile General Monroe, the recently appointed Commander of the MEF, cabled Field Marshal Lord Kitchener, advising a complete withdrawal from Gallipoli. In a subsequent cable on 2nd November, Monroe estimated that an evacuation could lead to a casualty rate of 30–40 percent of the force and an equal amount of war material. 16th October 1915: Lord Kitchener sends telegram recalling Sir Ian Hamilton. General Sir Ian Hamilton relinquishes command of Mediterranean Expeditionary Force. 14th October 1915: In the British House of Lords, political pressure mounts over the failure of the Dardanelles Campaign. Lord Milner and Lord Ribblesdale urge the evacuation of Gallipoli. 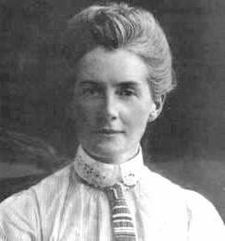 12th October 1915: British nurse Edith Cavell is executed by German firing squad for helping Prisoner of Wars escape from Belgium to Holland. Her execution received worldwide condemnation and extensive press coverage, and she becomes a popular martyr and British heroine. 25th September 1915: The Great Allied Offensive of 1915 commences with a focus by the British on Loos and French at Champagne. At the Battle of Loos the British use poison gas for the first time, but the wind blows this over their own troops resulting in many casualties – seven are killed. Despite heavy casualties overall, there was considerable success on the first day in breaking into the deep enemy positions but the reserves had been held too far from the battle front to be able to exploit the successes, reverting in the end to attritional warfare for minor gains. By the end of the Loos offensive on 18th October the British had lost 61,000 casualties, many from the New Army Units that had arrived in France just days before. A significant number of the remaining pre-war British soldiers were also lost. 20th August 1915: Italy declares war on Turkey. 31st May 1915: The first Zeppelin raid on London kills seven and injures 35. British morale is shaken as Germany demonstrates it can attack the capital at will. 23rd May 1915: Italy declares war on Austria-Hungary. After a period of wavering and after secret negotiations with France and Great Britain where Italy negotiated for territory if victorious, Italy entered the war on the side of the Allies. 12th May 1915: The British battleship HMS Goliath was sunk by three torpedoes from the Turkish destroyer Muavenet-I Millet. Goliath’s Captain, Thomas Lowrie-Shelford, and 570 of his 700 plus crew were lost. The sinking of Goliath led to direct and drastic upheaval for the British Navy top command and strategy. Within days after the loss of their ship, the First Sea Lord Admiral Fisher resigned amidst bitter arguments with the First Lord of the Admiralty, Winston Churchill, causing Churchill’s resignation too. 7th May 1915: German U-boat torpedoes British liner Lusitania with the loss of American lives, creating a US-German diplomatic crisis. When the RMS Lusitania left New York for Liverpool on what would be her final voyage on 1st May 1915, submarine warfare was intensifying in the Atlantic. 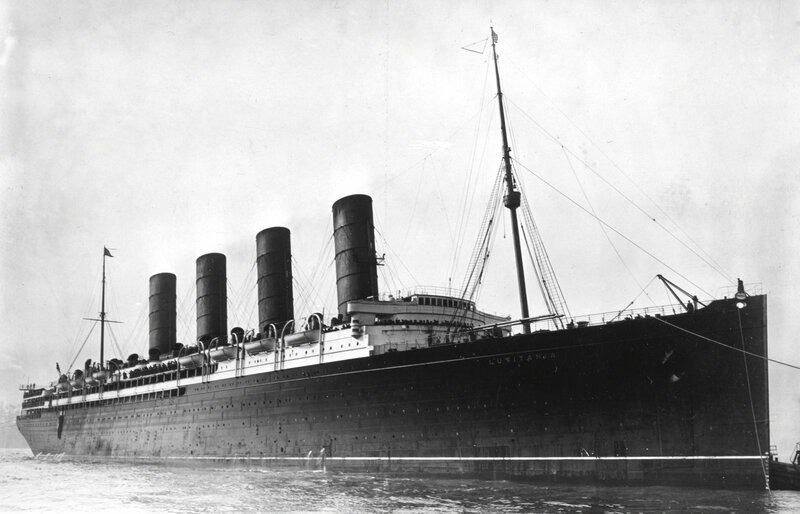 Germany had declared the seas around the United Kingdom a war zone, and the German embassy in the United States had placed a newspaper advertisement warning people of the dangers of sailing on the Lusitania. On the afternoon of 7th May, Lusitania was torpedoed by a German U-Boat, 11 miles off the southern coast of Ireland and inside the declared “zone of war”. A second internal explosion sent her to the bottom in 18 minutes. In firing on a non-military ship without warning, the Germans had breached the international laws known as the Cruiser Rules. 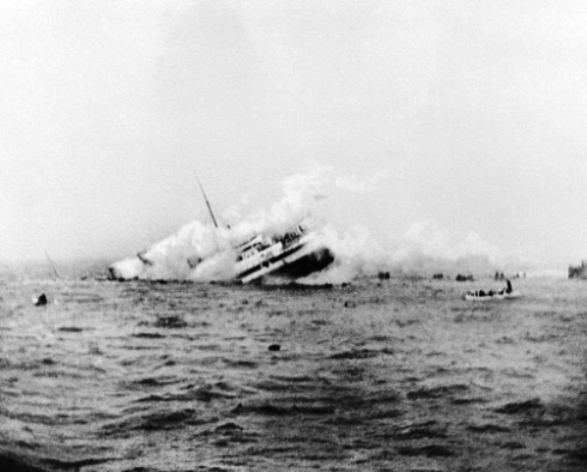 Although the Germans had reasons for treating Lusitania as a naval vessel, including the fact that the ship was carrying war munitions and the British had been breaching the Cruiser Rules, the sinking caused a storm of protest in the United States, as 128 Americans were among the dead. The ship’s sinking provided Britain with a propaganda opportunity, which helped shift public opinion in the United States against Germany and influenced America’s eventual declaration of war two years later, in 1917. Of the 1,962 passengers and crew aboard Lusitania, 1,191 lost their lives. As in the sinking of Titanic, most of the casualties were from drowning or hypothermia. In the hours after the sinking, acts of heroism amongst both the survivors and the Irish rescuers who had heard word of Lusitania’s distress signals brought the survivor count to 764, three of whom later died from injuries sustained during the sinking. 22nd April 1915: The Second Battle of Ypres begins with a large offensive by the Germans and the first use of poison gas on the Western Front. In early April 1915, following the northward extension of their lines British troops returned to the Ypres Salient. The arrival of units of General Smith-Dorrien’s Second Army coincided with German plans to seize the high ground around Pilckem and Langemarck, which involved, notoriously, the use of poison gas. In the late afternoon of 22nd April a strong German thrust was made against the north of the Salient. During the night Canadian units improvised a series of scattered outposts across the breach and secured a defensive line. Numerous counter-attacks the following day held off further German advances. The critical days following saw relentless British counter-attacks, but the futility of such operations was eventually acknowledged and between 1st and 3rd May British forces withdrew to a new line – barely three miles from Ypres. Heavy fighting continued, and on 24th May witnessed the largest German gas attack which, despite resolute British defence, secured ground either side of Bellewaarde Lake. Thirty-three days of incessant fighting saw no decisive German breakthrough, though the British were left holding a much-reduced Salient even more vulnerable to German artillery bombardment. By the end of the battle the Ypres Salient had been compressed and Ypres itself was closer to the line. The city was bombarded with observed artillery-fire and gradually demolished. Poison gas had been used on the Eastern Front but surprised the Allies and approximately 7,000 gas casualties were admitted to field ambulances and casualty clearing stations; from May–June, 350 British deaths were recorded from gas poisoning. Both sides developed gas weapons and counter-measures which changed gas warfare to part of the structure of tactical attrition. German casualties from 21st April – 30th May were recorded as 34,933 by their official historians. British casualties recorded in the British Official History were 59,275 men and the French had approximately 18,000 casualties on 22nd April and another 3,973 casualties from 26th–29th April. Canadian casualties from 22nd April – 3rd May were 5,975 of whom approximately 1,000 men were killed, the worst day being 24th April when 3,058 casualties were suffered during infantry attacks, artillery bombardments and gas discharges. 10th March 1915: The British Offensive at Neuve Chapelle begins. Allied losses amount to 12,800 in two days. Some of the blame falls on the poor quality and lack of British shells, initiating the ‘Shell Crisis’. 18th February 1915: The blockade of Britain by German U-boats begins. All vessels are considered viable targets, including those from neutral countries. 19th January 1915: In the first airborne attack on British soil, Zeppelins bomb Great Yarmouth and King’s Lynn, killing five civilians. Their targets were opportune – the Zeppelins were heading for industrialised Humberside but were blown off course so dropped their bombs over the east coast towns instead. The bombings brought the war to the home front, and although terrifying to the civilians on the ground, these attacks throughout the war did not have the demoralising impact to morale that the Germans had hoped for.